The Hyundai and Toyota families are well-respected throughout the world for their commitments to producing vehicles that are class-leaders in terms of power, precision and innovation. 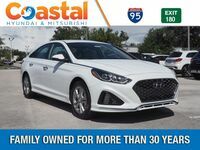 In the mid-size sedan realm, it should come as no surprise that the new 2019 Hyundai Sonata and Toyota Camry models have again found themselves at the top of the heap. 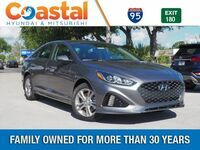 With both being sleek, adventurous examples of what sedans should be, it can be hard to figure out which one is truly best for you. That’s where we come in. 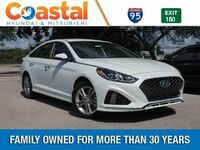 Our Cocoa Hyundai team has put some info together on what the 2019 Sonata and Camry models are capable of. Come in with us and see how they match up - with this, you’ll have a much better idea of which of these market legends should be your next daily driver! 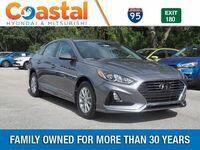 All this has made the Sonata a 5 Star vehicle in the eyes of the NHTSA, not a small achievement by any means - it also means that the Sonata offers greater off-the-line torque output, better fuel efficiency, and a more intuitive and serene drive than the 2019 Camry can offer. 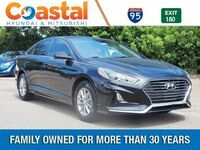 To see the 2019 Sonata for yourself, be sure to contact Coastal Hyundai today and schedule a no-hassle test drive! 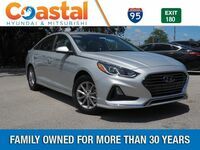 Interested in a 2019 Hyundai Sonata?